Unwind on a cleverly designed electric recliner chair with easy to use controls. 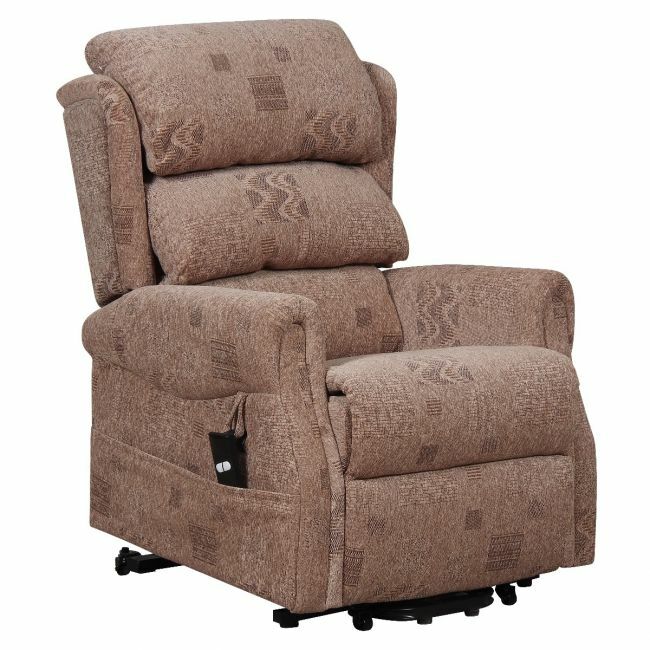 Upholstered in a classic patterned fabric and fitted with an easy to use recline mechanism, the Axbridge electric recliner chair has been designed with relaxation and ease of use as a priority. With its traditional shape and neutral colour scheme it’s perfect for any home setting. Filling can easily be added or removed from the 3 backrest sections so the user can customize the chair to where support is most needed. Optional castors are also included. Please note this is a recliner only chair and does not assist the user to stand up like a riser recliner chair.